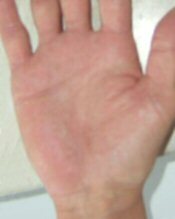 Hello and welcome to the dermatitis information site. Cure your painful and embarrassing dermatitis! This is not a quack cure that I create in my garden shed. Derma Shield is produced in pharmaceutically licensed premises and is medically proven to work. We are the manufacturers so you can buy direct from us. 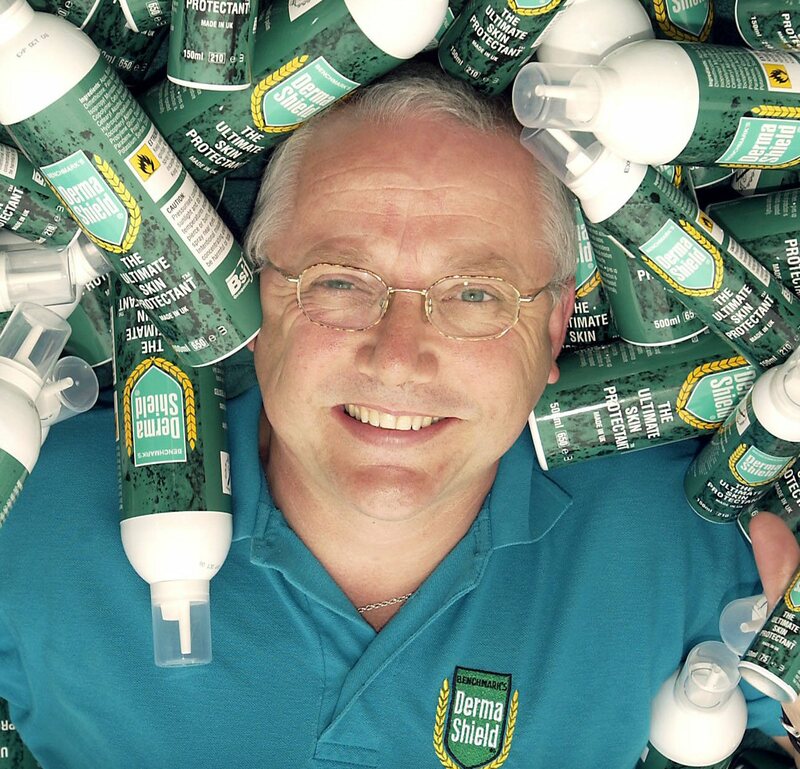 My name is Peter Friswell and I run a small family company based in Cwmbran, South Wales, United Kingdom and we specialises in helping people improve their skin and have a life free of dermatitis. We ship Derma Shield all over the world and have helped tens of thousands of people with their skin problems. It's no surprise therefore that I am so confident that Derma Shield can cure your dermatitis I will even offer you an unconditional money back guarantee! I take all the financial risk. What can be fairer than that? That's how confident I am that your dry, cracked and chafed skin problem can be cured. Dermatitis can be caused by many different substances and situations. Whatever the cause, dermatitis not only affects your skin in also affects your whole life. I have met many people whose job requires them to constantly wash their skin which causes it to become very sore and often creates open wounds that have the potential to allow infections to take hold. You no longer need to put up with all that pain and discomfort. Before and after dermatitis photographs can illustrate just how severe and painful dermatitis problems can become. Imagine how painful and restrictive it must have been to have skin in the condition shown above. I'm sure you will understand the immense relief experienced after using Derma Shield. Try it for yourself. Buy online now and I promise you will not be disappointed. The dermatitis pictures shown above are from a customer of mine who works in the health care profession where skin problems are very common. In fact I have been told on many occasions by health care professionals that approximately 1 in 5 people are affected with skin problems! Over the years that I have been in this business I have spoken to countless numbers of people who suffer with skin problems and one common theme comes through time after time; "How can I deal with this dermatitis or skin problem yet still continue with my life?" In an ideal, dermatitis free, world we would all be able to distance ourselves from situations and substances that can cause skin irritation and dermatitis. Dermatitis need not be something that you should put up with. I believe, with a passion, that I can help your skin problem and cure your dermatitis. So if you are here for information on your skin problems,such as dermatitis, or if you are fact finding for someone else who you care about I believe that this site can help you. If you buy online now you will get a no quibble, 90 day money back guarantee. I just want to say how impressed we are with the Derma Shield foam. My wife and I are Osteopaths and after 20 years of practice, for some reason, I developed a severe contact dermatitis which would attract secondary infection and produced really unpleasant, itchy and weeping lesions. This had been the case for about 3 years, controlled only by the application of Fucibet (Fusidic acid and Betnamethasone) cream. This would only damp down the inflammation which would return again very quickly a day or two later. Since using Derma Shield, I have no infection, no skin reaction, no lesions and have total relief even if I don't use the product for a week or two. My wife also uses it as a pre and post gardening product and thinks it's great! Many thanks again for producing such an effective product. I am so confident that Derma Shield can cure your dermatitis I will even offer you an unconditional money back guarantee! I take all the financial risk. What can be fairer than that? Have a browse around and you will find information that helps you on your mission to cure your skin of dermatitis.